swapBT is the one-touch solution to toggling your bluetooth. 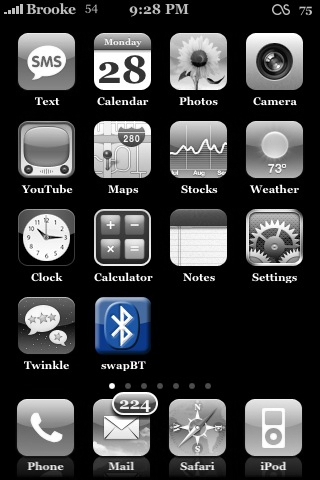 Like with WifiToggle, when you tap on the swapBT icon on your SpringBoard, it will turn your bluetooth on or off depending on it’s current state. 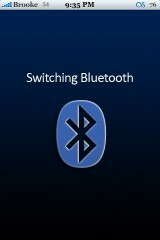 If your bluetooth is off when you tap on the app, it will turn it on. 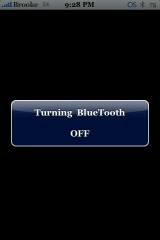 Then, to turn your bluetooth back off, just tap the app again and it will turn it off. 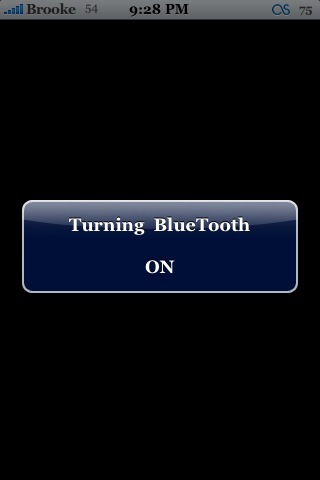 It will give you a nice little pop-up informing you if the bluetooth is being turned on or off. A quick and simple way to toggle your bluetooth! swapBT is available through the iSpazio source. Hi Brooke.. since when iphone had a bluetooth? 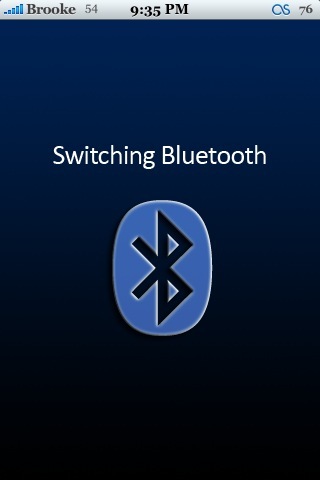 what version of iphone should i install to get a bluetooth? i want this..i want this now! is there also something like “Edgetoggle”? i mean at the moment, im switching edge (well, gprs, im not with an official provider) on and off via bossprefs, and you always have to re-authenticate your cellphone card, but couldnt there be a 1 click solution that enters your SIM passwort autmatically so you just have to wait 3-5 seconds without typing? What we really need is someone to make an app that toggles the Show My Caller ID. To me that would be really useful. swapBT was never officially on the ispazio network. v2 for firmware2.0.x is now on the BigBoss repo for cydia. 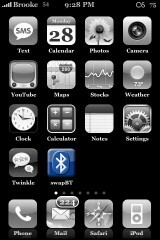 I like this app but it seems to be only turning the BT on or off. Can it be enhanced to also turn BT connection on so that the audio can be transferred to BT headeset while using iPod functions ? Hallo Brooke, super App. Leider funktioniert 2.0 mit ios 4.0 nicht mehr. Wird es ein update geben?